Robyn`s years of experience working across different countries and spanning a broad cross section of disciplines ranging from Brand Strategy and Implementation, Sales and Marketing, Operations, Project Leadership, Change Management, Innovation at a leadership level provide a strong foundation for her to help individuals and companies achieve their full potential. Prior to forming Impact Consulting she was Vice President and Brand Leader of W Hotels, Le Méridien, the Luxury Collection and St. Regis for Starwood Hotels & Resorts’ Europe, Africa, & Middle East (EAME) division. In this role, she combined her expertise in hotel marketing and operations with innovation and change management skills, to guide these four dynamic brands within Europe, Africa and the Middle East. She was instrumental in successfully launching the W brand in Europe with the launch of W Barcelona in 2009. In addition to her role as Brand Leader, she led the EAME Brand Operations team across all of Starwood’s nine hotel brands, where she was responsible for activating each brand’s core values within more than 250 hotels throughout the EAME division. 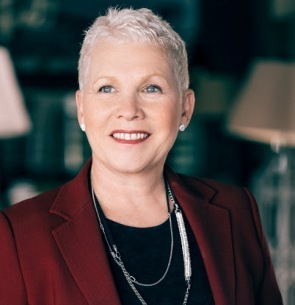 Robyn’s career with Starwood Hotels & Resorts began in 1987 when she joined the company’s Catering Team at Sheraton Brisbane Hotel and Towers. As a former Restaurant Owner and Hotel General Manager, Pratt had a strong platform from which to springboard her career into a global hotel organisation. In her 24 years with Starwood, she held a diverse range of positions across all levels of the company throughout Asia Pacific and EAME, including Food & Beverage, Divisional Sales and Marketing, Operations, and Hotel General Management. In 1997, she took on the role of General Manager of the five-star Sheraton Noosa Resort in Australia. During this time she successfully opened Cato’s restaurant which just one year after opening won Best New Hotel Restaurant in the Australian Restaurant and Catering Awards. Three years later, she transitioned to Starwood’s EAME Division, where she led the development and implementation of the company’s transition to the Euro, an effort that was eventually recognised by the European Central Bank as a Best Practice. Following this great achievement, Robyn was asked to lead the Division’s Six Sigma and Operational Innovation program, where she leveraged her strong leadership and communications skills to integrate the Blue Ocean Innovation process, a strategy that promotes creating new market space rather than competing in an existing industry, into the organisation. Woman Chiefs of Enterprises – International for her contribution to the Australian Tourism Industry. Robyn is the author of the book To Build a Lifetime and studied in Australia.